The magnificent cathedral at Fortrose is now largely a ruin where rainwashed carved faces of rose-coloured sandstone peer down from roof bosses, and snapped-off stumps of window tracery are redolent of Reformation vandalism. On the golf course at Chanonry Point, overlooking the Moray Firth, a plaque marks the spot where the Brahan Seer was boiled in a barrel of tar. 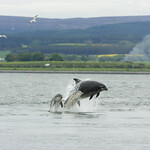 Chanonry Point is also a great place for seeing dolphins. 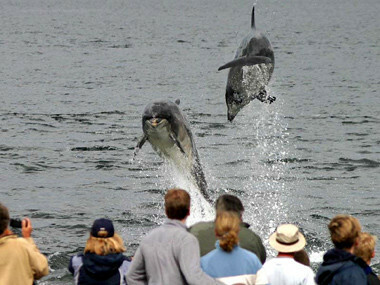 They come close to shore at high tide and there's a good chance of seeing them leaping above the waves. The Brahan SeerSeer, Brahan was boiled in a barrel of tar in 1660 but not before he had foretold the building of the Caledonian Canal and Kessock Bridge, the Highland Clearances and the Second World War. He also predicted the demise of the local lairds and the Seaforths. It was Lady Seaforth who ordered his execution, after the seer had a vision of her husband in the arms of another woman. Apparently the precise spot where he met his end is now the 13th hole of the golf course at Chanonry Point, which just goes to prove that it is indeed unlucky for some. Where else in the world can you stand on a beach and get splashed by dolphins? 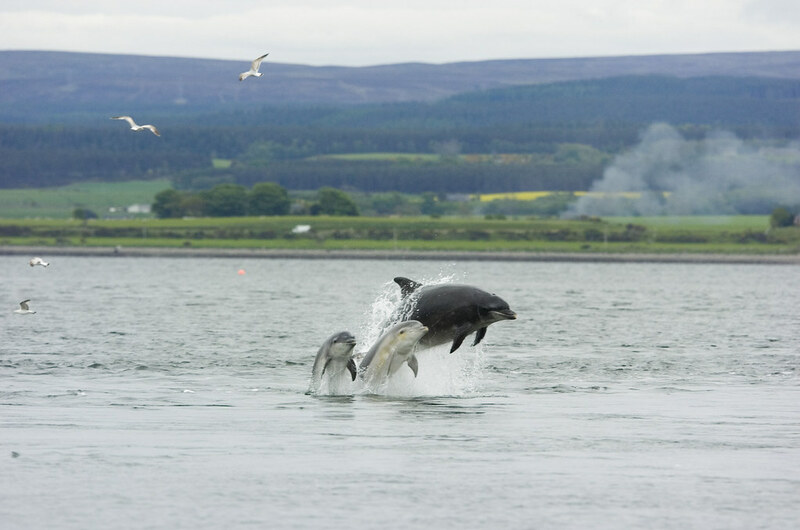 Chanonry Point can offer an amazing experience of seeing dolphins close up. Historic stone built farmhouse with large,private enclosed gardens, hot tub and summerhouse. 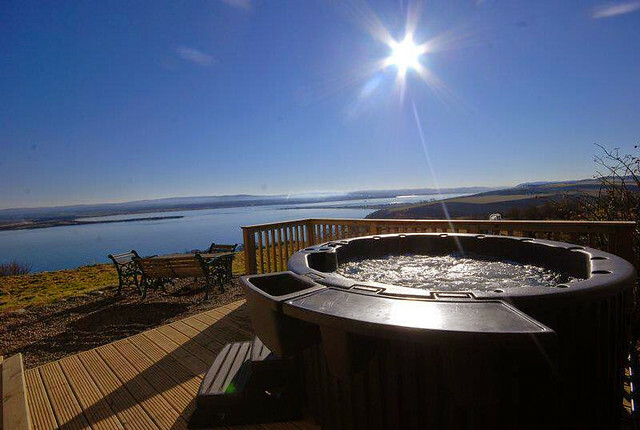 Spectacular sea views over the Moray Firth and the hills beyond. A romantic treat for couples or a great family home. This beautiful and unique, semi-detached house in Avoch on the Black Isle, Scotland, sleeps eight people in four bedrooms. Lovely location.